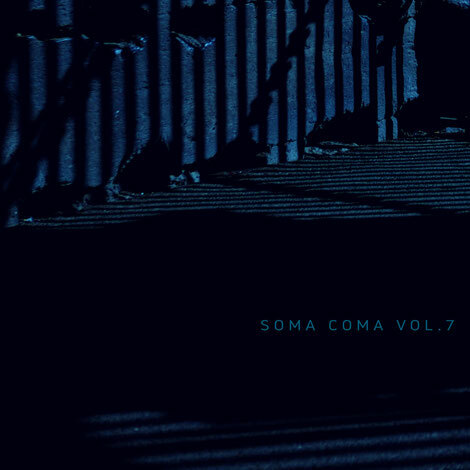 The Soma Coma Series returns with its seventh instalment, bringing original and reworked tracks from Soma's current roster alongside some of the wider electronic music community. Aimed at the more ambient, cerebral side of techno, ‘Soma Coma 7’ features Slam, Rebekah, Edit Select, Jonas Kopp, Clouds and more adding to the high standard set by the compilation series. Consisting of 13 tracks, the immersive qualities of the album are apparent from the start with Deepbass' Ambient Version of Circa opening the album, quickly followed by Deepchord with ‘Roca 9’ - tarn from his most recent Soma LP. Current Soma collaborators SLV & Edit Select offer two very contrasting pieces with Glasgow's Petrichor making an appearance with Ko-Rah. An uncharacteristic piece from Rebekah highlights her production skills while recent offerings from 04LM & Charles fencer once again find their place within the album. Label heads Slam make various appearances with exclusive remixes of their 'Reverse Proceed' project finally seeing the light of day. Jonas Kopp, Clouds, & Jeroen Search breathe new life into the current material from the Glasgow duo. Out now on Soma Records, you can check it out on Spotify here.